The Bharatiya Janata Party won the 16th general election by tapping the aspirations of young India. After winning a majority on its own, the BJP, in its first policy statement,- the Union budget, initiated a step to reboot the Indian economy in order to attain “acchhe din”(good days). The expectations were high, with the “aam aadmi” eagerly looking for “achchhe” announcements. But the budget in-fact proved to be a more of a ‘corporate’ budget, with nothing for the common man. India is the 3rd largest economy after the U.S and China and by 2020 will become the youngest country with an average age of 29 years, 64% of Indian population will be in the working class age group. This demographic potential offers India and its economy an unprecedented edge. India is day by day becoming young and is having world’s largest 0-6 age group which will count to India’s youth making it world’s youngest nation in near future. As every human has problems, dreams and desires this young India too has his own desires and dreams. Today’s youth first want to fulfil their own needs and then only they are willing to support certain causes, as an age old saying goes “nothing is enjoyable with an empty stomach”. With change in the society and the new economic policies of liberalization, globalization, privatization, Indian way of living is undergoing a rapid change, every individual wants his own space in the society, social status, and a life of luxury. This young India don’t want a jobless growth but what it wants is a growth in GDP with growth in employment opportunities. But it is irony that in a country like India where a girl who can top world’s most difficult examination (Indian Administrative Services) is also writing a bank clerk examination simultaneously, showing the high level of job insecurity in Indian youth. Though on a verge of becoming world’s youngest nation India’s growth rate is not up to the expected levels, even though the prolonged and continuous planning by government we have not yet been a developed nation despite all the ability and resources. According to a report published by IRIS Foundation collaboration with united nation habitat about the state of urban youth in India reported that one fifth of the Indian urban population lives on less than a dollar a day. The income level in the cities may appear to be higher but the cost of living is also increasing constantly resulting in shrinking savings, inadequate access to healthcare and lack of quality education. Maternal mortality remains the top cause for the death of young women in India. Half of the urban women are anaemic pointing to inadequate food and nutrition. The unequal access to opportunity and lack of emphasis on education remains a persistent problem. An urban area has 93% more chances of acquiring training than in rural India. They acquire much needed exposure to the world, but a major problem in the development of India as a super power is that it’s not able to provide employment opportunities to its much talented youth and thus they have to look west for employment. If the economy is to grow robustly, the apprehension that it could take a toll on the environment in the way goods are created and the way they are used .I hope that in this budget or in the subsequent one, the finance minister will bring in this aspect as to how we protect our environment as we grow, because ultimately it’s supposed to be about quality of life. The present divide between the haves and the have-nots is going to increase, so unless you provide basic employment to the masses of India, and learn from examples like China, where everything co-exists, this is what the Finance Minister should look at in the upcoming budget. Indian youth is full of desires and ambitions, is highly productive and will make India a superpower provided if government is able to sufficiently utilize their potential by providing them better opportunity, job security, infrastructure, better environment to work, motivation and sense of pride. Well, Jaitley is aware of the high expectations. 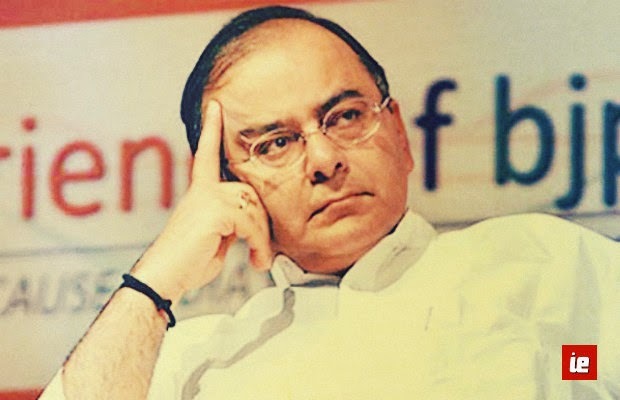 He quoted after the 2014 union budget “I don’t think I should be satisfied. We have to take India back to growth rate of 8 to 9 per cent”.